The pupils of Gowran NS participated in the Kilkenny County Schools Gala on Thursday, June 25th. We had 30 pupils participating in the Gala with many personal bests, finalists, and medal winners. 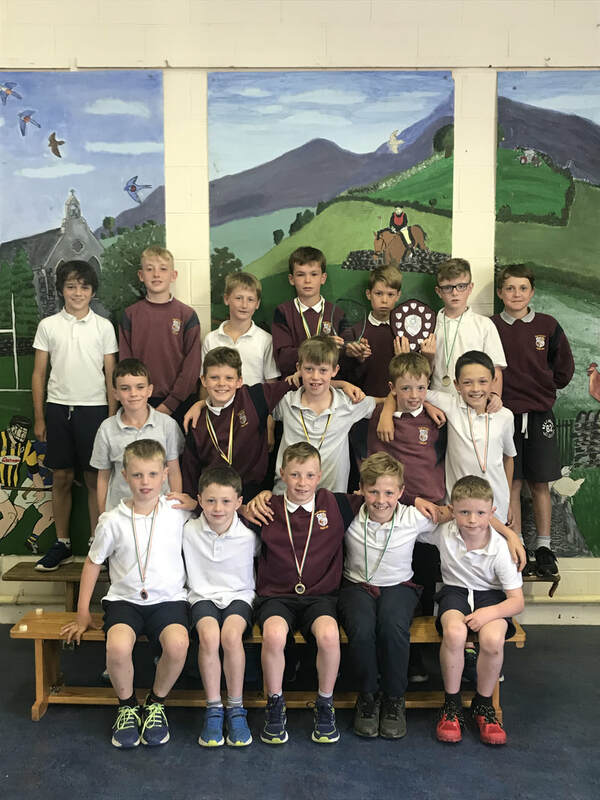 Yonas Kenny, Matthew McAviney, Cian Kenny, Eoin Brennan, Timmy Brennan, Jamie Carter, Michael Cleere, Patrick Langton, Charlie Fitzgerald, David Holland, Seán Fitzpatrick, Brogan McAviney, Conor Fitzpatrick, Cathal Darcy and Ryan Dennehey. Ella Kate Convery, Ella Middleton, Heather Byrne, Aisling Fitzpatrick, Ellie, Rose Prendergast, Julia Patterson, Lisa Prendergast, Doireann McCurdy, Peig Keating, Méabh O'Neill, Eva O'Donnell, Miriam Brennan. 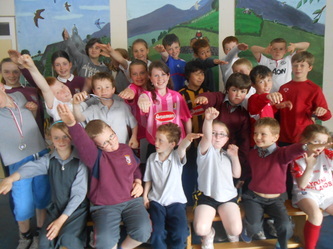 The boys and girls of Gowran NS participated in this year's swimming gala in the Watershed. We had U8s swimming front crawl and backcrawl. 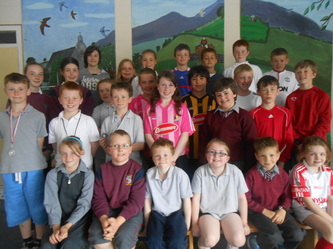 Well done to Jamie Carter, Cian Kenny, and Ella Phelan who did us proud in their events. The pupils in the under nines age group swam frontcrawl, backcrawl and breaststroke. Rhys Nolan, Matthew Holland, Seán Fitzpatrick, Peig Keating, and Doireann McCurdy swam very well, with Seán Fitzpatrick being pipped at the post for third. Under 10s were a very strong category, with Conor Fitzpatrick, Brogan McAvinney, Conor Lynch, Kellie Devitor, and Emma Farrell all swimming fantastically. Conor F. won a gold medal for first, with Brogan winning sliver in his race. Conor L. qualified for the semi-final too! Under 11's all demonstrated excellent swimming technique, Conor Cleere swam very well, Lee Hehir reached the semi-final, and Jack Nolan was pipped at the wall for third! 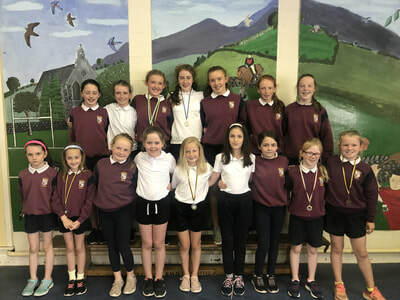 The girls under 11 were Tiffanie Fitzgerald, Zoe Fenlon and Sarah O'Neill, and were strong competitors in their races. Under 12s provided us with great excitement with Daniel Nevin reaching the semi-final, Eddie Gittens in a terrific battle, Laura Nevin winning silver, Meaghan D'Arcy narrowly missing out on the medals, and Jessica Devitor swimming in the competitive breaststoke event. Under 13s was the most challenging category, with Seamus Farrell, Jack Brennan, Sarah Gittens and Freagh Kelly representing our school! The school relay was down to the wire, with the girls demonstrating great determination, and the boys battling it out to win the bronze medal! Overall it was a terrific day and well done to all participants!